For those of you who are travelling to the city of Tel Aviv, you are in for a treat. Over the years more and more restaurants are becoming kosher or opening up kosher in the city. Parking is a nightmare! Locate the restaurant before your visit and make sure you will have where to park in the area. Otherwise, you are better off taking a taxi / Uber or public transportation. Watch your pockets in south Tel Aviv, as there are quite a few really good pickpocketers on that side of town. Wear comfortable shoes and bring a bottle of water, you will be doing a lot walking. Don’t forget to make a reservation, depending on the time of your visit. 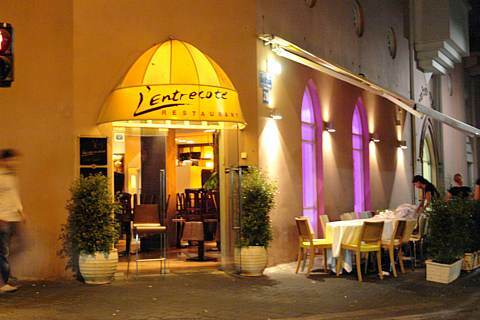 Le Entrecote is located in the historic Palatin House, the home to the first Israeli Philharmonic orchestra. The cuisine that is offered in L’Entrecote is in the name: French cuisine with Mediterranean influences. L’ Entrecote is designed like a French brasserie and specializes in all things meat. The restaurant also offers fish and vegan options, but a huge highlight are the desserts that are made in house. 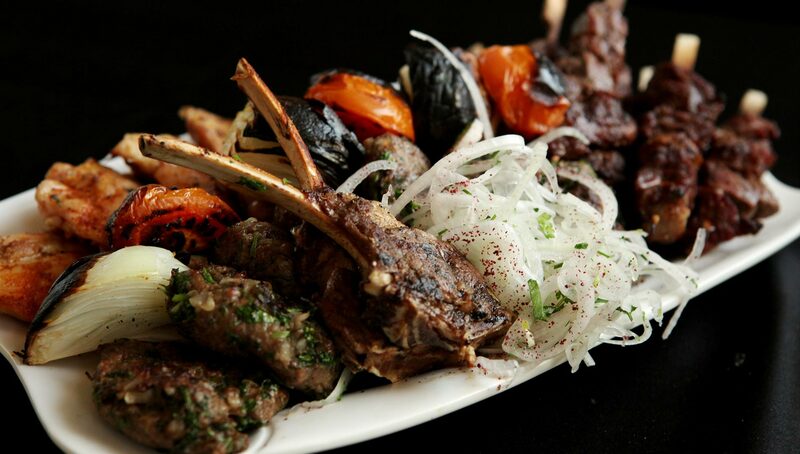 Lechem Basar’s concept is the connection of fresh baked bread with quality cuts of meat. For example, the restaurant offers a dish called “Lachmagun,” which is a fresh loaf of bread filled with ground beef or lamb and served with tahini sauce. A unique concept, located right on the beach. Lechem Basar: A unique concept, located right on the beach. 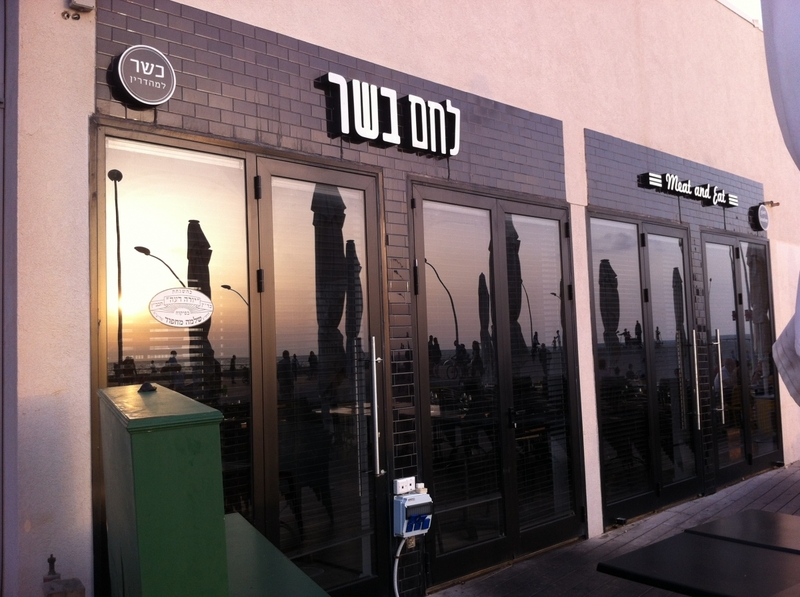 Refael Grill bar is an authentic Bucharian restaurant located on the border between Tel Aviv and Yaffo. The restaurant offers a full menu of grilled meats, but if you are already traveling to a Bucharian restaurant, don’t be afraid to try something different. Bucharian cuisine is flavor-rich and is composed with many textures. So if you are looking for a cool and different culinary experience, Refael is your best Mehadrin option. Bucharian cuisine is flavor-rich and is composed with many textures & flavors. So if you are looking for a cool and different culinary experience, Refael is your best Mehadrin option. Sumesa is located on the outskirts of Tel Aviv, in the heart of the Diamond Stock exchange, on the border of Ramat Gan. 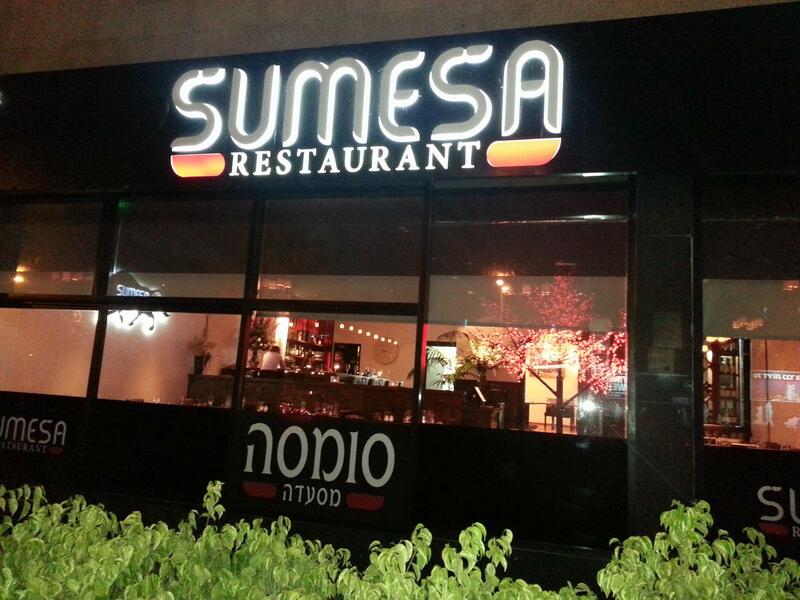 Sumesa offers their patrons an experience you will not get in any other restaurant around. Influenced by Spanish and Mediterranean cuisines, Sumesa offers a variety of meat and fish dishes that are executed to perfection. Shmulik Cohen restaurant takes you back to a simpler time when food in a restaurant wasn’t about being gourmet or fancy, it was about being more traditional. Opened for over 80 years, Shmulik Cohen’s menu offers classic Eastern European Jewish cuisine, including gefilte fish, herring, chopped liver, and chicken soup with either kreplach or kneidelach. The main courses offer cholent, tongue, and different pot roasts that you would find at your bubbie’s house. The portions are generous and delicious. 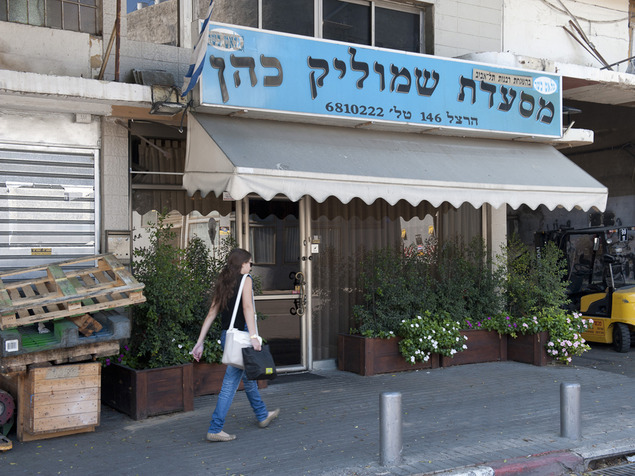 If you are seeking a classic Shabbos meal any day of the week, make sure you stop at Shmulik Cohen’s restaurant.